Kenne Kessler will play with Spanish soccer club, Villarreal CF. 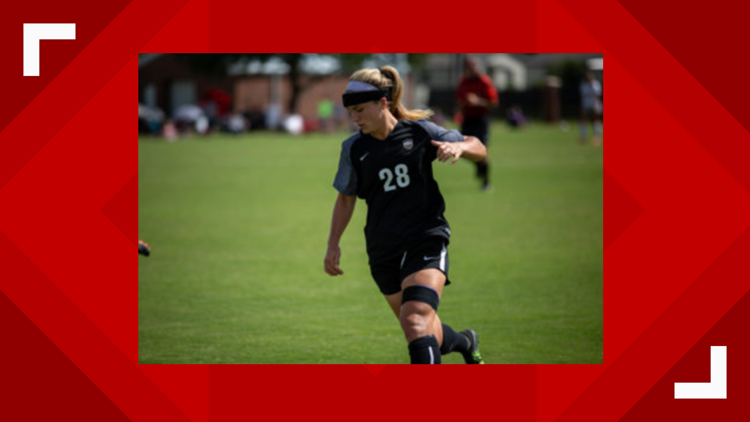 ABILENE, Texas — Hardin-Simmons University women's soccer stand-out, Kenne Kessler, has signed a professional contract with Spanish club, Villarreal CF. Kessler is a native of Highland Village and according to HSU, she has brought nothing but cheer to the university by showing her hard work and dedication for her sport and her team. She was named as one of four team captains last year and the school said her game improved each year. "This opportunity means a lot to me because it has been something I worked for and dreamed about for a long time. It is every little soccer player's dream to one day get to travel the world and play the sport they love." Kessler said in an HSU press release. "In her time at HSU, she led us to four straight ASC Championships, four straight NCAA Sweet 16’s and a trip to the NCAA Final 4 in 2017. She is a very special competitor," HSU women's soccer coach, Marcus Wood, said. Villarreal CF is ranked second place in their division. If they get first or second place in the second-tier division, Villarreal will be promoted to league the top league, "La Liga." The preseason in Spain is halfway over and Kessler will be joining them mid-season. According to the release, a big opportunity for Kessler came when she traveled to Spain over the Christmas break to tryout with several teams. In one of the games, her team played against Levante, which is near the top of La Liga. They lost 3-2, but Kessler scored both goals. After the tryouts, the Villarreal CF coach contacted her and arranged to sign the pro contract. Besides playing for the Texas Spurs soccer team, Kessler played an essential role in HSU's purple and gold team. She scored 84 goals in 89 games and had 37 assists for HSU. In that period, she was awarded All-American of the Year twice. She has a 4.0 GPA and has twice been the Player of the Year for the Academic All-American team.